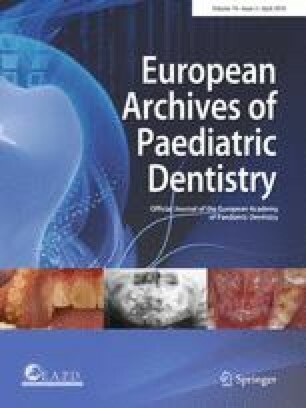 To evaluate the scientific evidence regarding the association between malocclusion and dental caries in adolescents. Searches were conducted of six electronic databases, complemented by manual searching of the reference lists of the selected articles and grey literature. Two independent reviewers performed the selection of the articles, data extraction and the evaluation of the risks of bias through an assessment of methodological quality. Meta-analysis was performed considering the mean decayed, missing and filled teeth (DMFT) index for caries and the Dental Aesthetic Index (DAI) for malocclusion. Heterogeneity was tested using the I2 statistic and a random effect model was employed. Summary effect measures were calculated as differences in means. The initial search retrieved 2644 studies, only 15 of which were selected for full-text analysis. Four cross-sectional studies were included in the qualitative systematic review. Only one of these studies found no association between malocclusion and dental caries. The meta-analysis of three studies demonstrated that a lower DAI value was significantly associated with a lower mean DMFT index, except for the comparison of DAI 26–30 vs. 31–35. Based on the studies analysed, the scientific evidence indicates an association between malocclusion and dental caries. This study was supported by the following Brazilian fostering agencies: National Council for Scientific and Technological Development (CNPq), Ministry of Science and Technology, State of Minas Gerais Research Foundation (FAPEMIG) and Coordination for Improvement of Higher Education Personnel (CAPES). There are no conflicts of interest associated with this publication. Borenstein M, Hedges L, Higgis J, Rothstein H. Introduction to meta-analysis. John Wiley & Sons. 2009. http://onlinelibrary.wiley.com/book/10.1002/9780470743386. Accessed Nov 2015. Moher D, Liberati A, Tetzlaff J, Altman DG, Group P. Preferred reporting items for systematic reviews and meta-analyses: the PRISMA statement. PLoS Med 2009; 6:e1000097. http://journals.plos.org/plosmedicine/article?id=10.1371/journal.pmed.1000097. Wells G, Shea B, O´Connell D et al. The Newcastle-Ottawa Scale (NOS) for assessing the quality of nonrandomised studies in meta-analyses. Department of Epidemiology and Community Medicine,University of Ottawa, Canada. http://www.ohri.ca/programs/clinical_epidemiology/oxford.asp. Accessed 24 Apr 2016. World Health Organization. Oral health surveys-basic methods. 4th edition. Geneva. 1997. http://apps.who.int/iris/handle/10665/41905. Accessed Nov 2015. World Health Organization. The World Oral Health Report 2003: Continuous Improvement of Oral Health in the 21st Century—the approach of the WHO Global Oral Health Programme. Geneva: WHO. 2003. http://www.who.int/oral_health/media/en/orh_report03_en.pdf. Accessed Nov 2015.